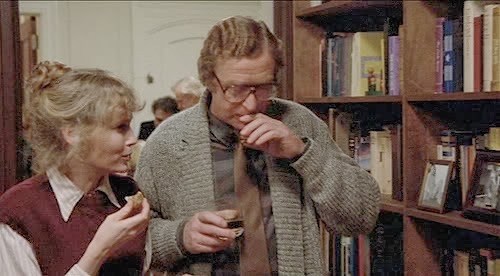 Breaking the mirror into three pieces, Woody Allen uses himself, Michael Caine and Max Von Sydow to depict the regretful, lustful and intellectual sides to his personality respectively. The sisters that bind these men together are central to the story as we find how Hannah (Mia Farrow) and her sisters (Barbara Hershey and Dianne Wiest). Elliot (Caine) is married to Hannah and falls for her sister Lee (Hershey); Lee is romantically involved with Frederick; Holly (Wiest) is the final sister who’s restless as her partner-to-be (and Hannah’s ex-husband), hypochondriac Mickey (Allen), is undergoing a crisis of faith. Such personal themes regarding faith and love are tackled sensitively and balanced well with measured comedy that shows maturity and intellect. Allen is confident in his direction, framing moments from obscure angles and capturing the drama within the context of three Thanksgivings. Well-written women and weighty ideas prove how impressive Allen truly is.